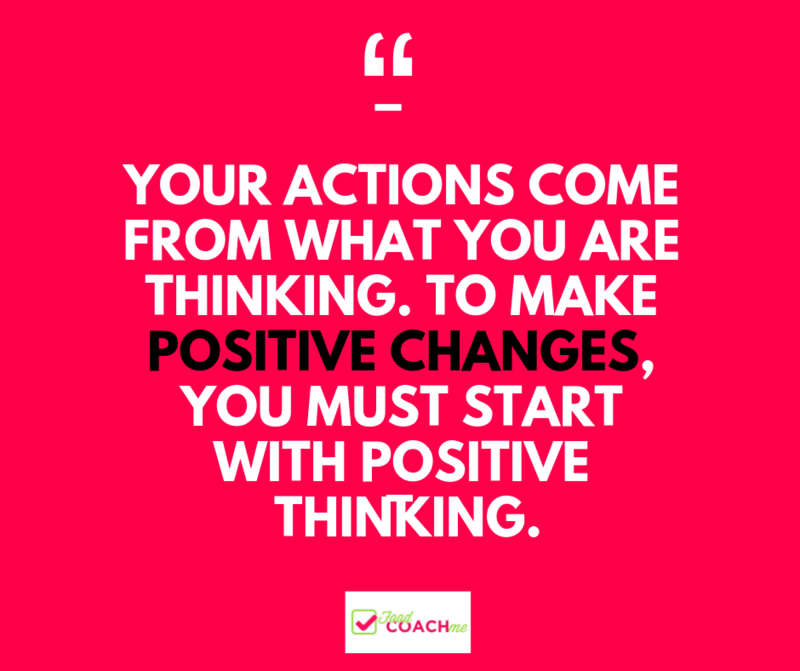 What does positive thinking have to do with weight loss? How other members answered the question…add yours in the comments! Of course it’s hard! If it were easy it wouldn’t be such a big struggle for our Nation. New diet programs come out all the time but the truth of the matter is, we won’t be discovering some new diet that all the sudden holds the key to making this easy. Planning ahead, making the healthier choice over the quick and/or more desirable food…nope…not easy. I agree very much with this FCM member using the phrase “Can Do Attitude” which is a totally different mindset. This is hard BUT I can do it. It’s healthy to acknowledge that what you are doing is hard and it’s empowering to tell yourself you can do hard things. A great piggyback of the previous response. 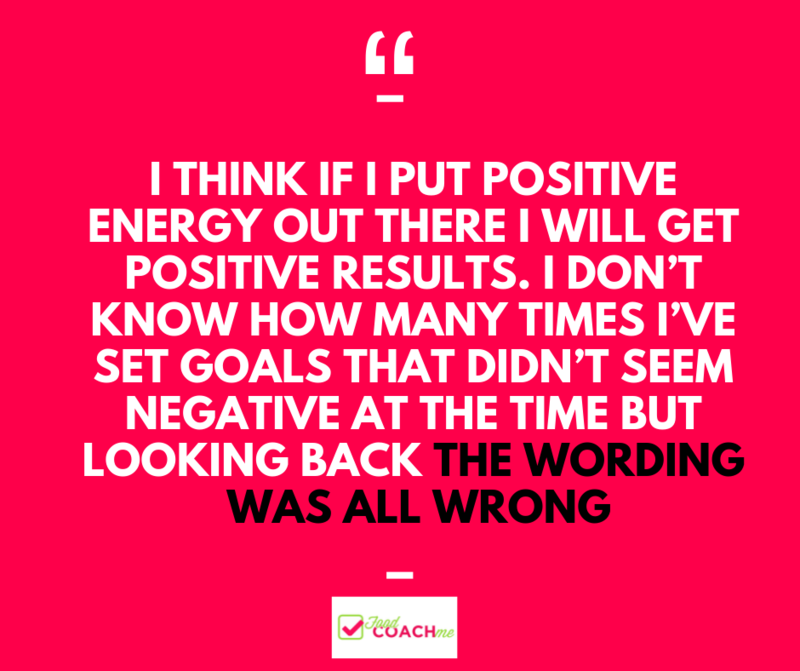 As I’ve been listening through the book The Power of Positive Thinking by Norman Vincent Peale, he recommends the practice of visualizing your goal. Picturing where you want to be. Whether it be business or a personal achievement (and in our case weight loss) he says to really put yourself in those shoes in your minds eye. This FCM member reminded me of the book. Envisioning that she will lose the weight matters. It can grow the belief she has in herself that it is not only possible, she is on her way. Isn’t this the TRUTH!? When you see hints of it working, you feel that motivation to stick it out. You start believing yourself that you can. You can see the positive paying off and it reaps more positivity. It’s the snowball effect in the right direction! Unfortunately, we all so easily get pulled into the other way. We set a goal that we don’t hit and then we believe we can’t and throw in the towel. What does it matter anyway? I can’t do this. My body doesn’t work like other peoples bodies. I’m too busy. I don’t have the willpower it takes. What I’ve always found a funny thought was something another member mentioned. She shared that she wouldn’t say some of the things she says to herself to another family member. Who would tell a loved one that they don’t have the willpower it takes to reach the goals they desire? We say unloving things to ourselves that we’d never say to someone else. Bingo. It’s likely I clapped when I read this response. I am a firm believer that it all starts with the right goals on the front end. 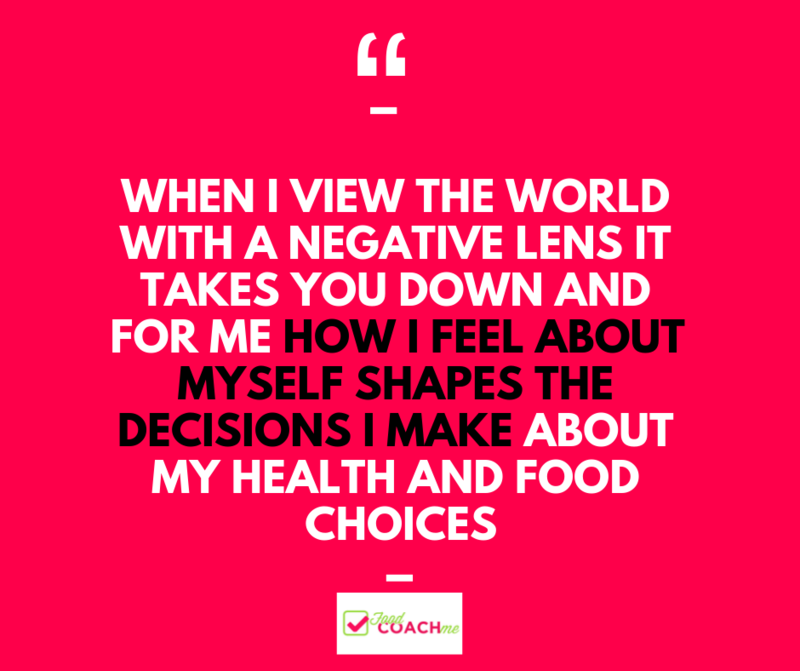 I’ve hosted several 28 Day Focus Challenges now and I have seen the difference between those who fizzle out after a couple weeks and those that see it through, and stay consistent beyond our month of extra focus. What’s the difference? Goals that are clear, measurable and attainable. When someone says they are going to “cut out carbs” they feel they have failed after a week because they ate a few things they shouldn’t have. On the flip side, if someone says they are going to keep a food journal for 4 days a week, they are more mindful of their food choices when they journal, they know when they’ve hit their goal and when they need to try again or catch up. They also know they have some grace days built in if they didn’t get all their days journaled. The person who made a goal to food journal four times a week is more likely to stay positive because they set a goal that was realistic for them. They see momentum of losing a few more pounds because of journaling. They stick with it because they see progress. The person who said they would cut carbs is feeling and thinking the “I don’t have any willpower” thoughts. Below are other fantastic responses from members. Add yours in the comments! I was doing research for a ladies conference and ran across an article about how negativity destroys and changes our DNA. It’s truly mind blowing at how powerful our mindset is. 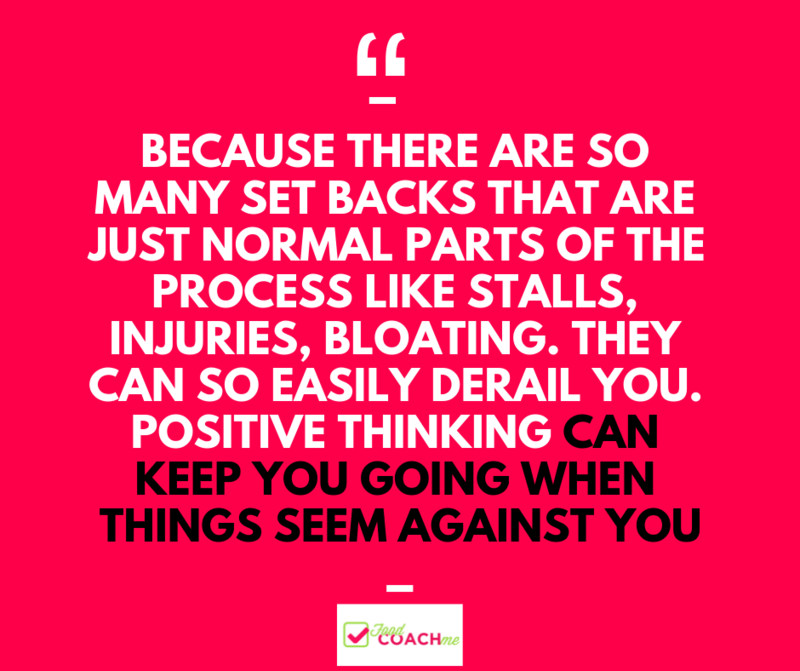 Staying positive is NOT easy, but a MUST!! Fascinating!! Feel free to share the article if you happen to come across it again!